Jim Felt is a name that has been kicking around the mountain bike industry from way back in the early days of the sport in the early 90′s, with hisbackground originally starting in motorcross and supporting some of the leading lights in the triathlon field. Relative to the big players like Giant, Specialized, Kona & Trek, you could classify Felt as at the boutique end of the spectrum, but what they lack for in size, they more then make up for in quality, range and innovation. Felt’s focus initially started in the road bike area, with the Triathlon specific B2 & DA time trial bikes both turning the triathlon scene on its collective ear when they were unveiled back in 2000. The integrated headset dubbed “bayonet”, designed within a wind tunnel was one of the first of its type which hid cabling within to cut down on wind drag – yes brake & derailler cables cause drag too. This focus on every aspect of bike design really puts Felt in the area of ultra close detail in every aspect. 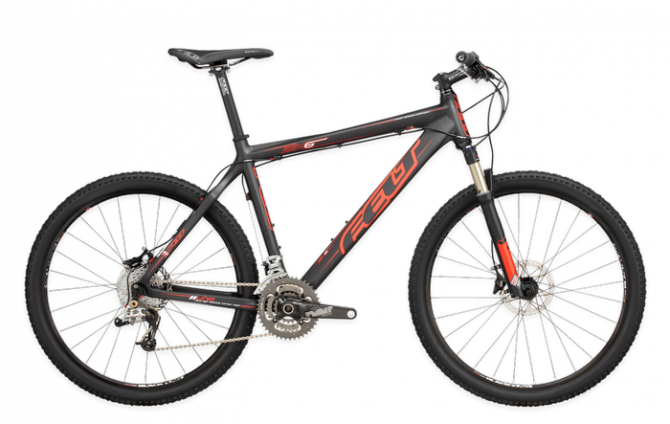 From a Mountain bikes perspective Felt initially offered the well regarded RXC series, which were well specced hardtails that ranged from $1500 all the way up to $7,000+ for a fully shod XTR and carbon fibre race ready weapon. The Q series were the recreational versions In 2005/2006, saw the introduction of the Equilink Suspension platform, which was a refined variant of the classic 4 bar linkage, with a bright red anodised aluminium rod which was designed to counteract the vertical vector forces from pedal induced bob, ensuring this was translated into a perpendicular plane for forward propulsion. Sound confusing? Well it works. Ride a Equilink equipped Virtue (Cross Country focussed) or one of the more All Mountain targetted Redemption bikes and you’ll love how fast you can crank up a hill and rail through a choppy high speed corner. Seriously good equipment. Felt, with its more boutique focus have a particularly long and illustrious list of notable factory sponsored riders representing all disciplines of the sport, from Triathlon, Road, Track across to X-Country & Endurance MTB’ing. Website Review: The Felt websites have recently been revamped and I must say – about bloody time. Whilst there are niggles here and there from a User Interface perspective, the improvement in navigation, information, layout and handling of the international franchises and distributors is light years ahead of the previous family of websites. Previously, different countries had licence to design and manage the sites the best way they saw fit – the consequence was a very, very poor representation of the Felt Brand, disunity around how products were represented and what was being represented and poor standards around photography and appropriate representation of the factory sponsored riders and atheletes. The new website family has adopted a consistant look and feel for each country and have capacity to deliver country specific products and news personalised by region. At time of writing the sites were still being populated by the respective countries for peripheral data around history, local team riders and some of the product spread, but the critically painful past web network where you jumped between different countries to determine the specifications of different parts of the same bike has been given away. For example one site would list an RXC Team has having a XTR Crank, but not list what the seat post was (generic or Thomson etc) whilst the other website wouldn’t list the crank model but list a Thomson seat post in the spec. Annoying. Thankfully the new site appears to be a vast improvement.